MANHATTAN BEACH, Calif.--(BUSINESS WIRE)--SKECHERS USA, Inc. (NYSE:SKX), celebrates Olympic medalist and Skechers Performance ambassador Matt Kuchar’s victory at the Mayakoba Golf Classic at El Camaleon Golf Course yesterday, November 11, 2018, in Playa Del Carmen, Mexico. Kuchar—who competes wearing Skechers GO GOLF footwear—finished at 22 under overall, marking his eighth career PGA Tour win, which moves him up to 29th in the Official World Golf Rankings. Kuchar has been a leading and respected golfer since breaking onto the golf scene as the U.S. amateur champion in 1998. 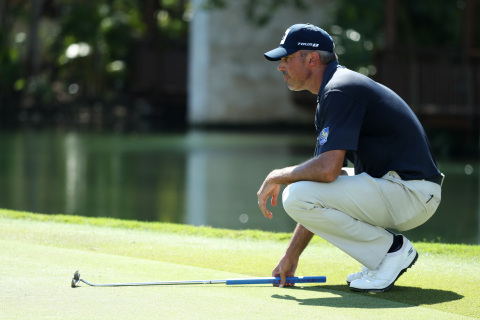 Now with eight Tour titles in his career, Kuchar is a perennial fixture atop leaderboards. His 2013 season was especially notable, as he earned two victories that year and also helped the U.S. squad beat the international team at the Presidents Cup. In 2016, Kuchar won a bronze for the United States at the Olympics and was also part of the victorious U.S. team at the Ryder Cup. Yesterday, Kuchar achieved his first win since 2014’s RBC Heritage.